Americans love to play in the Powerball Lottery for a reason. Almost no other lottery offers so many high Jackpots, including the one worth 1.58 billion dollars that set a world record. Now another record had been set: one person winning the Powerball Jackpot of 758.7 million dollars. The new millionaire is a 53 year woman named Mavis Wanczyck. For Mavis Wanczyck it’s a dream come true. She won the second highest Jackpot in the Powerball Lottery history with just one ticket on August 23, 2017. It is absolutely a date she will never forget! To win the Powerball Jackpot you need to have five matching numbers and the bonus Powerball. 6,7,16,23 and 26 were the lucky numbers of the winner. Some winners don’t want to go public, but Mavis did. She talked on a press conference one day after the lottery draw. After taxes she will receive 336.350.655 dollars on her bank account. Wanczyck had been working in a medical center since she was 21 years old. Now, after 32 years of hard work, she can now retire. 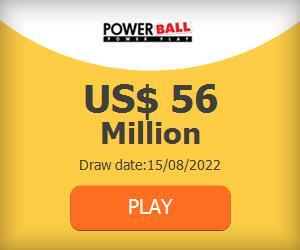 The lucky Powerball winner purchased five tickets for the draw. She used the birthdays of her family numbers and two so-called ‘quick picks’. Besides that, she chose Powerball number 4, which is her lucky number. August 23 was definitely a good day at Powerball Some other players also had five correct numbers. Six of them also chose the Power Play option, which led to a win of 2 million dollars per person. The people who didn’t have the Power Play option won 1 million dollars. In contrast with Mavis they did not have ‘lucky’ number 4. In the near future there probably will be another Powerball Jackpot hit. Whenever that will be is the big question. The amount of money will increase every time there’s no hit. This is called a ‘rollover’, and attracts a lot of people. More and more people want to try their luck when a lot of money is at stake! Perhaps you’re going to be the next millionaire after Wancyszk?